Design Master HVAC allows you to define each wall in a building as it relates to the heating and cooling load calculation. 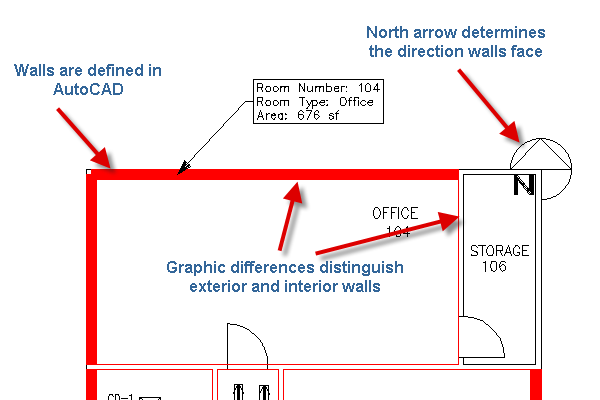 After creating a room, continue to work in AutoCAD and define the walls within the same program. The north arrow lets each wall know which direction it is facing for calculations involving the sun. Glance at a project and see which walls are part of the building envelope and which are defined as internal partitions. Quickly double-check someone else’s design for easy to fix errors. 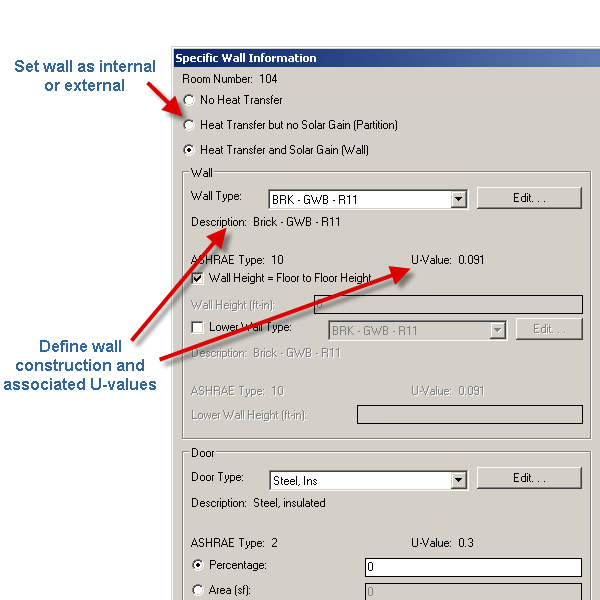 Specify how the wall is treated during the load calculation. Exterior walls are part of the building envelope and include solar gains. Interior partitions next to unconditioned spaces contribute to the load but are excluded from solar calculations. Select the wall materials from a list of premade wall types or create a new one. 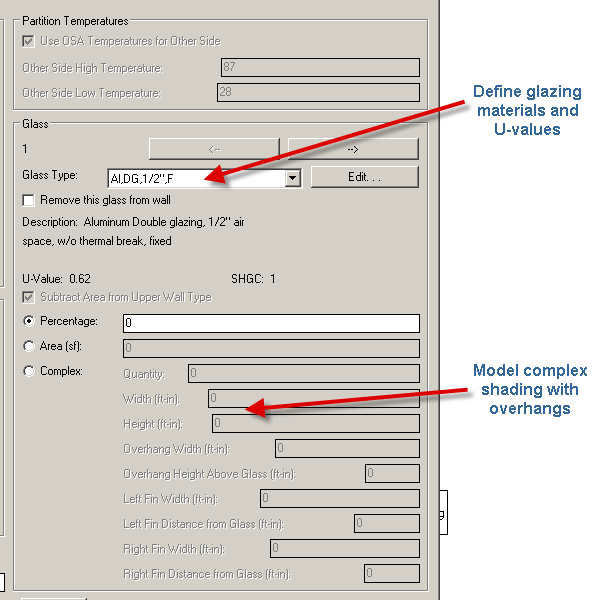 Select the type of window from a list of premade glass types or create your own. Define window overhangs and building fins and let Design Master HVAC calculate how they shade the window as the sun moves across the sky.